REDLANDS, Calif. －On Sunday, Jan. 20, many people gathered to look at the super blood moon lunar eclipse through telescopes on the lawn of the San Bernardino County Museum in Redlands. Student admission was only $6.00 and this included a walk through the museum which was filled with many historical artifacts. When entering the museum the greeter stated that the eclipse would begin at 8:41 pm and it would be at its peak at about 9:12 pm. 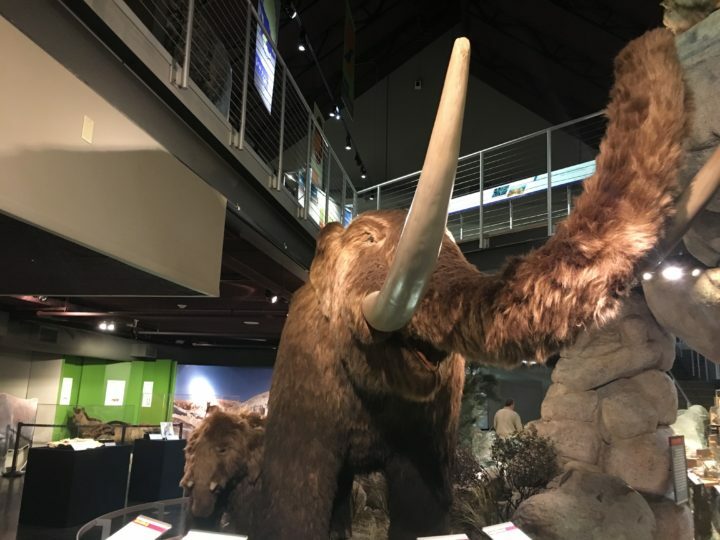 One of the first exhibits at the San Bernardino County Museum. Knowing these times was helpful because we were able to explore and look around the museum before making our way outside to look at the moon through the telescopes. Just outside on the lawn, there were about 5-6 amateur astronomers waiting to share some information and their telescopes. This was all made possible by the San Bernardino Valley Amateur Astronomers (SBVAA) which is a club. The star party coordinator of SBVAA, Tom Lawson, was there and ready to share his knowledge about telescopes and the stars. Lawson stated that curiosity had sparked his interest in astronomy in about 1990 when someone had told him that you can see Jupiter’s moons with binoculars. He said he dug out a pair of binoculars and the rest was history. To prepare for this event, Lawson said that all he had to do was set up the telescope and get it ready to go. “Preparation for astronomy really boils down to knowing your sky and what you want to look at, here we wanted to look at the moon,” Lawson said. He also said that if anyone was interested in astronomy to start going to moon parties and that you don’t need a telescope to go to one. Another amateur astronomer, Nick was also there with his telescope and stated that he started getting into astronomy 10-15 years ago when he started seeing pictures and cool science news. This led Nick to want to join a club like SBVAA and attend star parties. Nick stated that the coolest thing he has seen through a telescope is the Triangulum galaxy. Nick said that there is a campground called Grandview in Bishop, CA. that is about 8,000 ft in elevation, and on a clear night out there you can actually see the details in the spiral arms of the Triangulum galaxy. 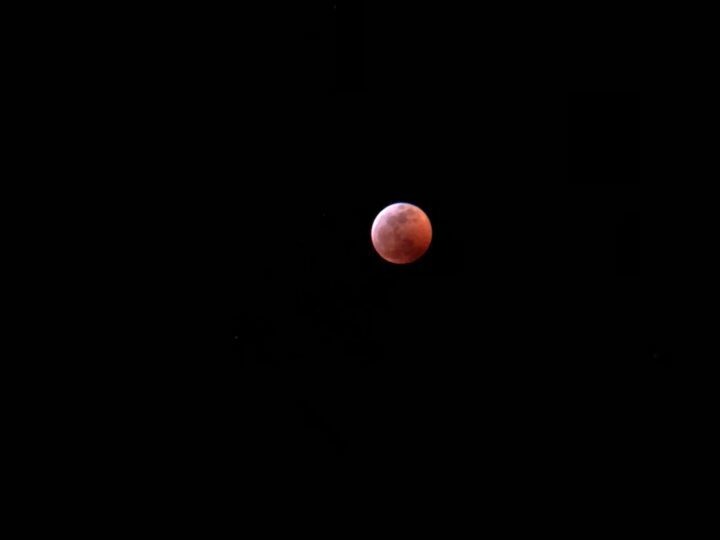 Photographer, Omar Cerillos, made it out to attend the event and get some great shots of the lunar eclipse. Cerillos stated that he came out because he is really into space and that everything about it fascinates him. Cerillos also said that going into this event he was expecting more of a scientific and educational event, but it was actually more of a family event. “It was a cool event, I’ve never experienced seeing an eclipse, so it was cool to actually see it with a telescope and having the astronomers here to help,” Cerillos said. 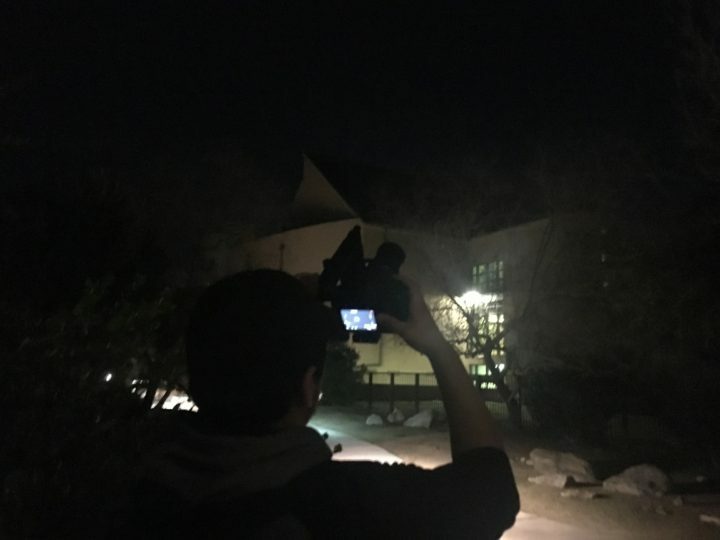 Omar Cerillos taking pictures of the lunar eclipse. If this event interests you the San Bernardino Valley Amateur Astronomers will be coming out for more Cosmic Nights on April 12, August 7 and November 2 from 8-10 pm.